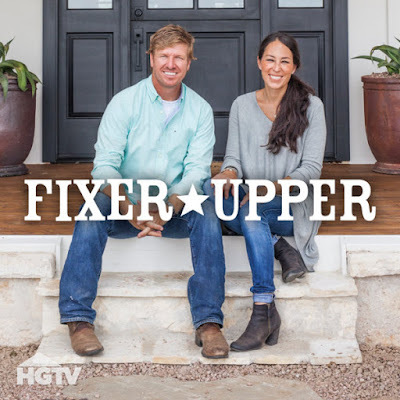 I'm late to the party on this one, I know, but how great is "Fixer Upper"? Chip and Joanna Gaines are the definition of relationship goals, and the homes they fix up are gorgeous. "Fixer Upper" has all the elements of a hit home show: choosing between properties, demo day, and a big, dramatic reveal--no wonder it is so insanely popular! I also love how everyone on the show is so nice and understanding. I'm about halfway through Season 1, and I have yet to see a client blow up over an unexpected cost or a crew member buckle under the pressure and act poorly. Not everything goes smoothly, but all of the adults involved seem to be committed to behaving like actual adults, and they keep the mood as lighthearted as possible. I don't think there's any way to watch this show and not get an itch to fix up your own space. (Or, y'know, buy a dilapidated home in Waco and let the Gaines family handle it.) However, most of us watching at home can't just grab a sledgehammer and start swinging. Most of us probably can't gut our existing decor and run out to buy all the stuff necessary to stage our homes like Joanna either. So what to do with the desire to fix things up? Clean. Have you noticed how all of the Magnolia makeovers feature a lot of white, natural light, and open space? You really can't have that feeling with clutter and dust everywhere. Get crazy and wash your windows, too, for maximum brightness. Declutter with baskets. Baskets of all stripes can be found anywhere, and they pop up a lot on "Fixer Upper." Clear a surface or two by corralling the stuff that doesn't really have a home in baskets, and increase the feeling or airiness you got started by cleaning. Put a letter on it. Large cardboard, wood, and metal letters abound at craft stores. Get yourself one, decorate it if you wish, and then either hang it on the wall, or just perch it on a shelf. Instant "Fixer Upper" style, but it's about as personal as a copy-cat project gets. Practice your penmanship, and then label everything. Have you noticed the abundance of chalkboards and chalkboard labels? Joanna (or someone on her staff) has really pretty casual-but-fancy script that adds a charming touch to kitchens and gardens. Add some flowers. Real is always better than fake, but nice silk flowers will get the job done, too. Flowers and plants up the style quotient of your home kind of like jewelry and accessories improve your outfit. They have no purpose other than looking nice, so incorporating them into your decor sends a signal that you really care about having a beautiful and inviting home. If that's not enough, and you need both your wardrobe and your home look like Joanna styled it, check out this article from "Country Living." And if you're really looking to go all in on Gaines's style, you can check her makeup essentials on her blog.